Bulletin Board Explore the lives of women whose intelligence, determination, talents, and creativity helped define and advance American culture. 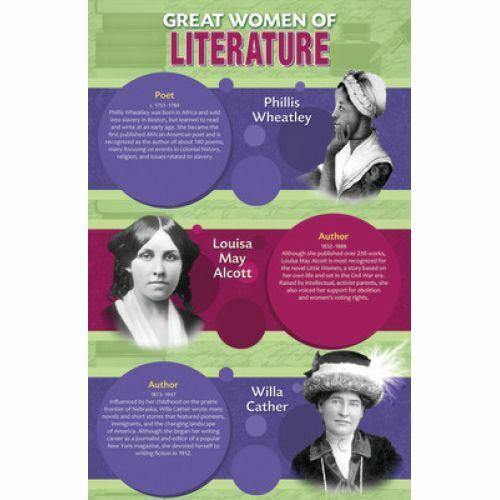 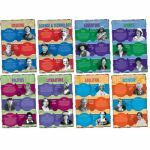 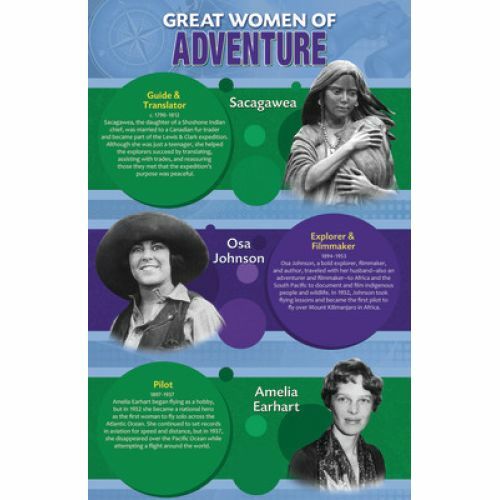 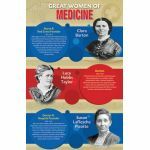 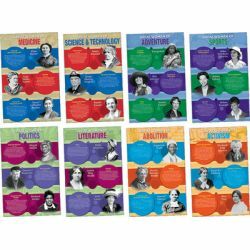 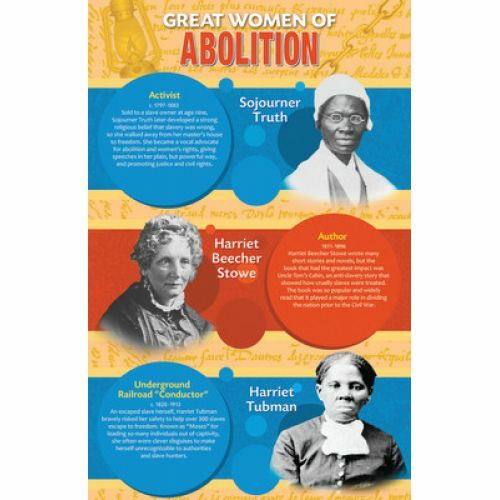 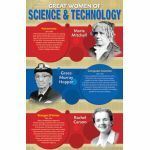 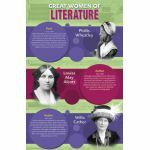 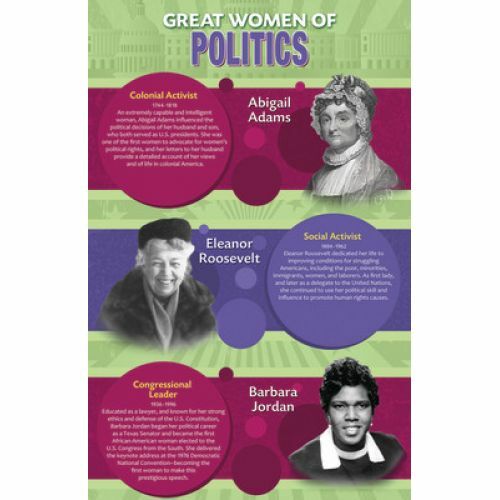 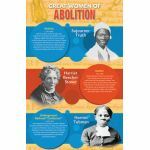 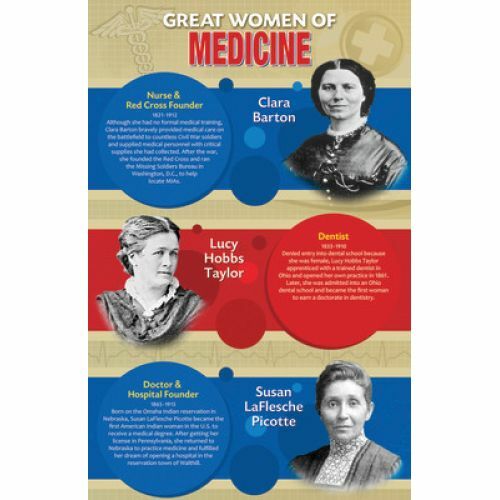 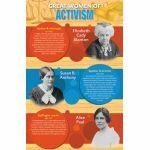 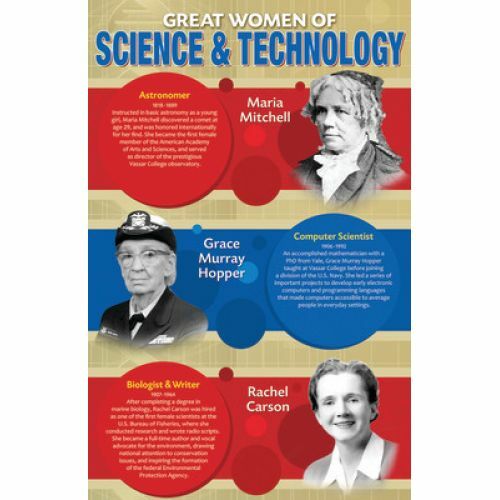 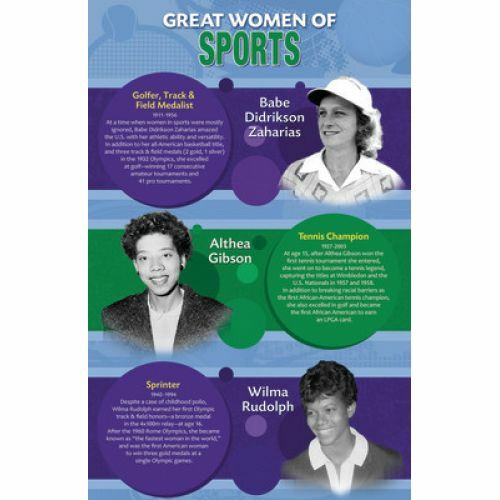 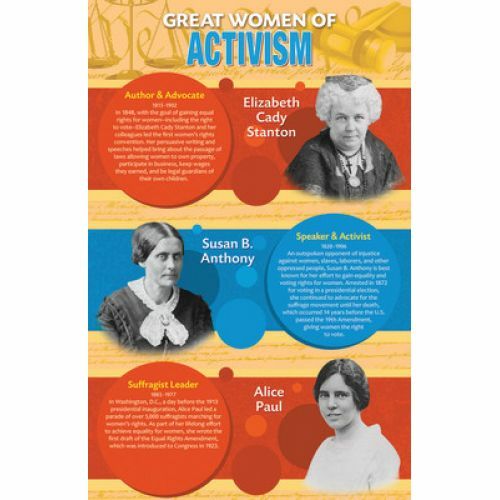 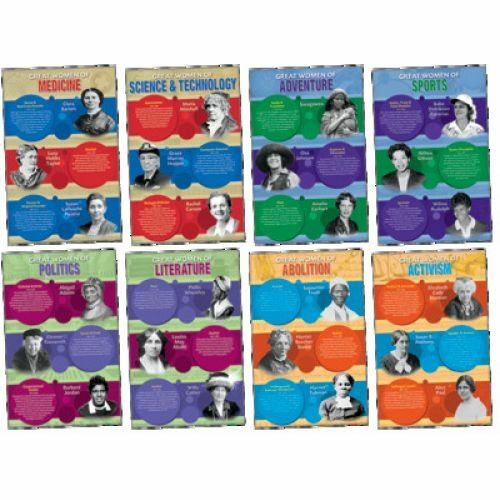 Eight 11" x 17" posters—each featuring three women in a designated field—introduce prominent historical figures and familiarize students with their achievements. 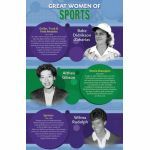 From politics and activism, to sports and adventure, these individuals earned America's respect, and continue to inspire young people to set and achieve goals in a variety of fields and careers.